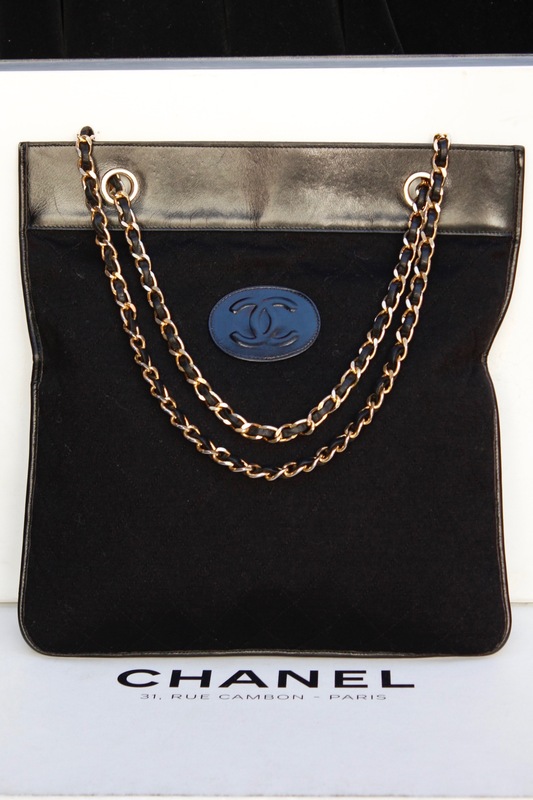 CHANEL (Made in France) Lovely black quilted jersey bag with a black leather stripe. It is decorated with a center leather medallion bearing the iconic CC logo. The handle is comprised of a gilded metal chain entwined with black leather. Burgundy leather lining with one patch pocket. Circa 1970’s. This vintage bag doesn’t have a serial number. Width 28.5 cm (11.25 in); Height 29 cm (11.5 in); Depth 1 cm (0.5 in); Handle 40 or 70 cm (15.75 or 27.5 in).